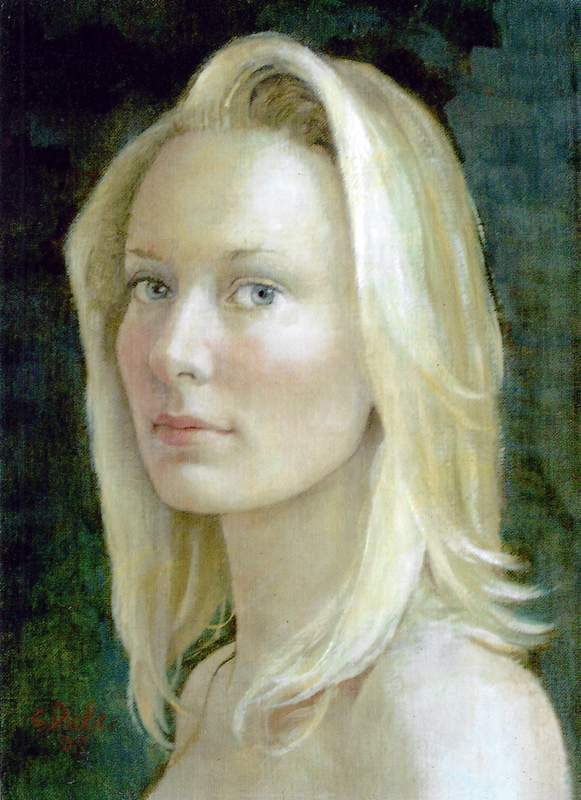 I painted Whitney after seeing many of Botticelli's magnificent paintings in Italy. When a painter looks at a masterpiece, she can, in eureka moments, comprehend some truths of the painter's method. Unfortunately, much of what she absorbs in the moment is fleeting. Perception of a master painter's way of turning light to shadow, for instance, begins to fade even as she leaves the gallery and steps into the contrasting landscape outside. For me, Whitney evoked Botticelli color and mood.